Ok guys, I contacted Ultra-Gauge asking them to become a vendor on the forum. They liked the idea, but said they would not have the time/resources to keep up with it. They gave me permission to run them as a vendor but with some direction from Tom, we felt it was best just to create a thread/topic for you guys to come to with any questions you might have about the Ultra-Gauge instead of making them a vendor. Provided below are resources as well to get you the help you may need. I will try within my means to help you, and if I cannot, I will find you the help. Many of you may read the title and wonder what an Ultra-Gauge is. The UG (What we will call it for short) is a scan tool for any vehicle with OBD-II diagnostics. It mounts in your car/truck and plugs into the OBD-II port under the dash. It actively scans the vehicle using the same sensors that the computer reads and displays that information on the LCD screen. 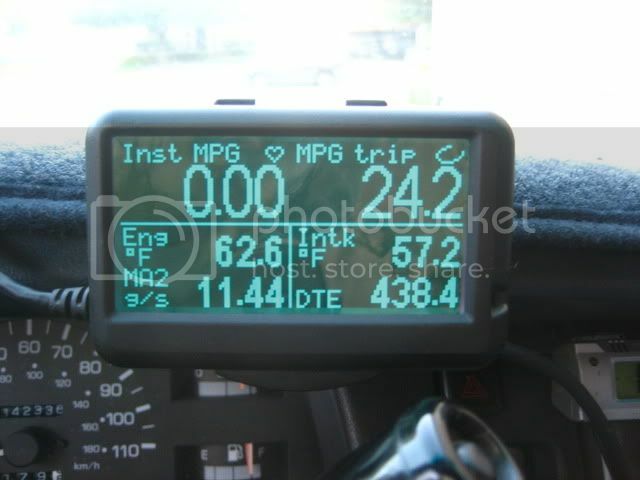 The UG has a total of 74 Gauges it can display. However, for the Ford Ranger, these are limited due to the sensors our trucks have. They are listed below. These gauges will displayed 6 per page on a total of three pages. 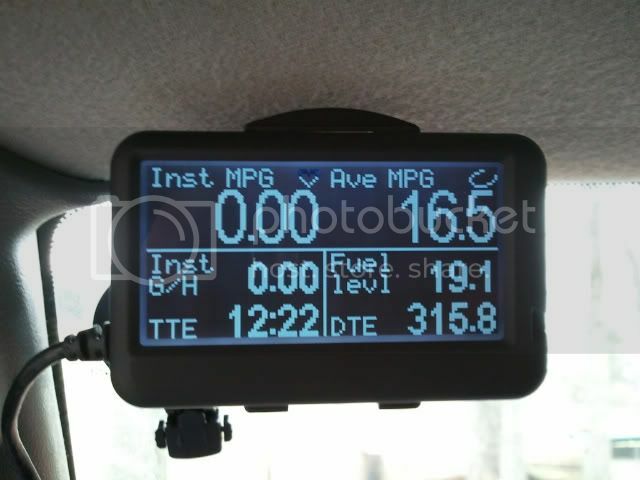 So basically, you have the option of choosing up to 18 gauges to display. The pages on the UG can be set to Auto-Advance to "X" number of seconds or you can have it to a fixed screen. One powerful tool of the Ultra-Gauge is its capabilities to Read and Clear Trouble Codes!!! It is one of the cheapest OBD-II diagnostic tools on the market. You will easily pay more than $100 for one at Advance Auto or AutoZone. Also, the UG has Max and Min alarms that can be set for each gauge. So say if you have the engine temp max gauge at 205*F like me, and it hits that threshold, it will make an alarm. Alarmas can be suspended or turned off. Also I will provide my alarm setting tonight. WHAT DOES THE ULTRA-GAUGE LOOK LIKE? the UG is a nice thin compact unit. There are three buttons on the back (Menu, Up, Down) It is smaller than a cell phone. It has a nice crisp LCD blue display. 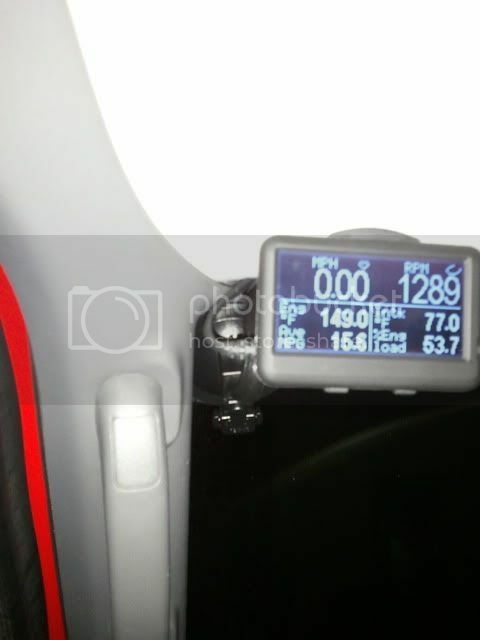 HOW DOES THE ULTRA-GAUGE MOUNT? 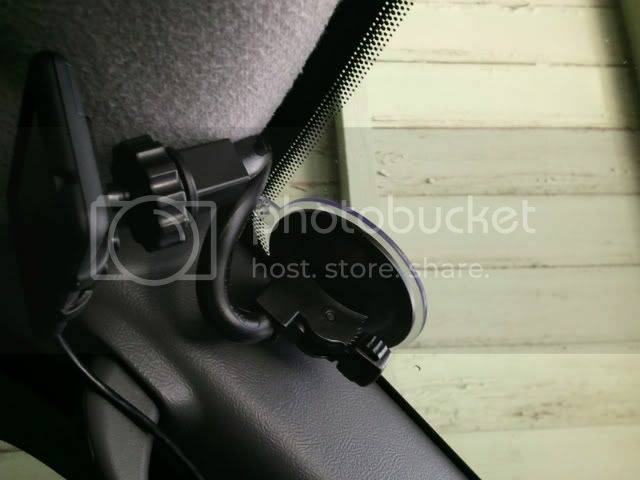 The UG mounts using a suction cup mount with a bendable "arm" that connects to the unit. 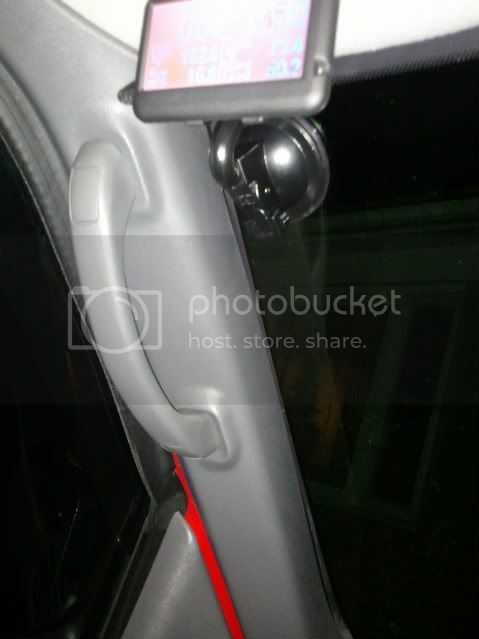 UG.com recommends putting it in lower-left corner of window right above dash. However, for the Ford Ranger, I personally recommend placing it as far top-left of the window as possible. It will require some bending of the mounting arm into a squished "S" shape, but it can be done. I also recommend Hiding the wire behind the A-Pillar Plastic. WHAT ARE THE DIMENSIONS OF THE ULTRA-GAUGE? WHAT KIND OF CALIBRATION IS INVOLVED? With the Ford Ranger, there is no fuel sensor (to my knowledge). We have a float attached to a sending unit that measures based on height of fuel in the tank. SOOOOO the UG has to be calibrated. You have two calibrations you can perform. One is distance and the other MPGs. This should give you a basic understanding of the Ultra-Gauge. If you have any questions, please feel free to contact me or post in this thread. Last edited by dixie_boysles; 08-11-2011 at 06:07 AM. interested in gb? group buy? Last edited by dixie_boysles; 01-06-2011 at 12:16 PM. if your down for one, just go to the ordering page, you dont have to wait. I dont have any info on a group buy yet(costs per unit). I have sent admin an email at ultra-Gauge today and am waiting to hear back. Last edited by dixie_boysles; 01-06-2011 at 12:48 PM. Thats cool! Where can you buy that stuff? Does it match the dash pretty well?